yum. yum. yum. this recipe is a KEEPER. i will compare these rolls to anything you have ever tasted from a French bakery. 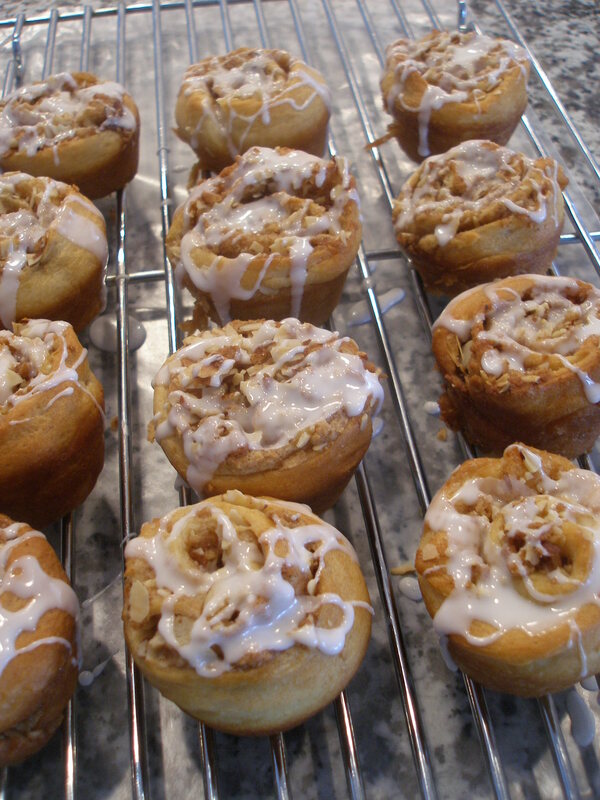 in fact, i would say this might be one of the best cinnamon roll recipes i have ever baked. with that, i will tell you that these rolls are super delicious. i will not say they are low in calories or carbohydrates, but this is a recipe for a special holiday celebration. i found the recipe in the current Country Living magazine, March 2014. They list the nutritional facts as: protein 6 grams, fat 23 grams (wow), carbohydrate 36 grams (wow), fiber 2 grams, calories 369 for one. this recipe makes 12 rolls. i did use reduced fat crescent rolls and margarine instead of butter, so that may help those numbers a bit, and i would recommend doing that, because the taste is over the top. no one would ever realize that reduced fat products were used in this recipe. 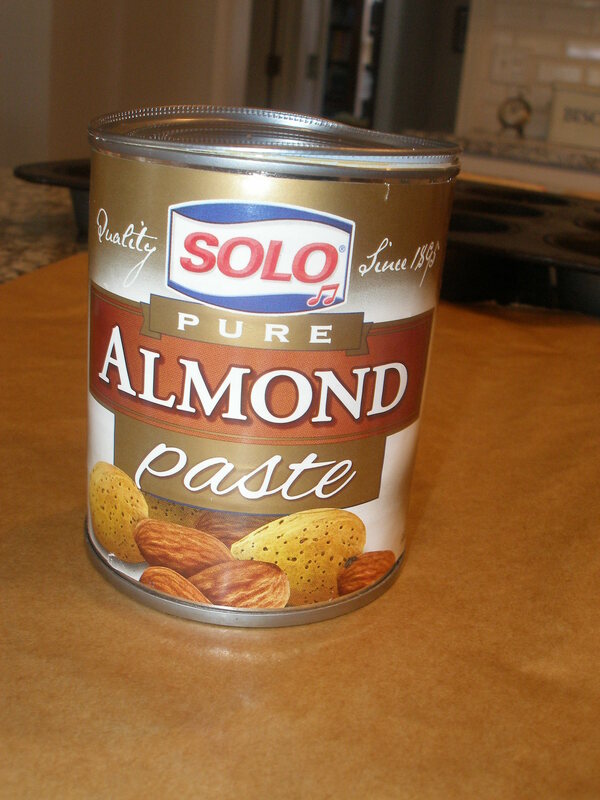 the key to the recipe is the almond paste product. only one half of this can is used for the recipe. to make these rolls: preheat the oven to 375 degrees. 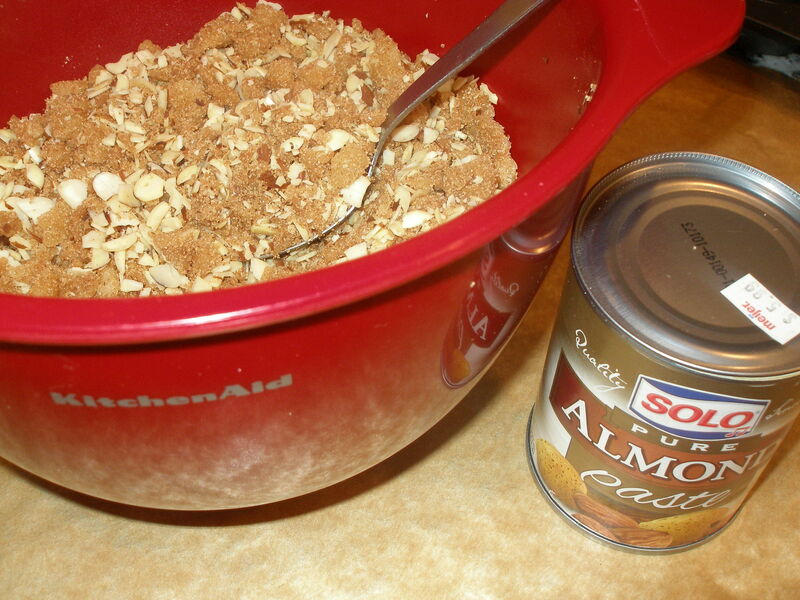 in a medium bowl, stir 1 cup of chopped almonds with 4 ounces of almond paste, along with 6 tablespoons brown sugar and 2 teaspoons ground cinnamon. mix very well together to blend. next, on a piece of waxed paper or parchment, unroll one package of crescent roll dough and spread 1/2 stick of softened room temperature margarine on the dough. make certain that all of the perforations are smoothed together. next, using half of the almond mixture, spread over the margarine. 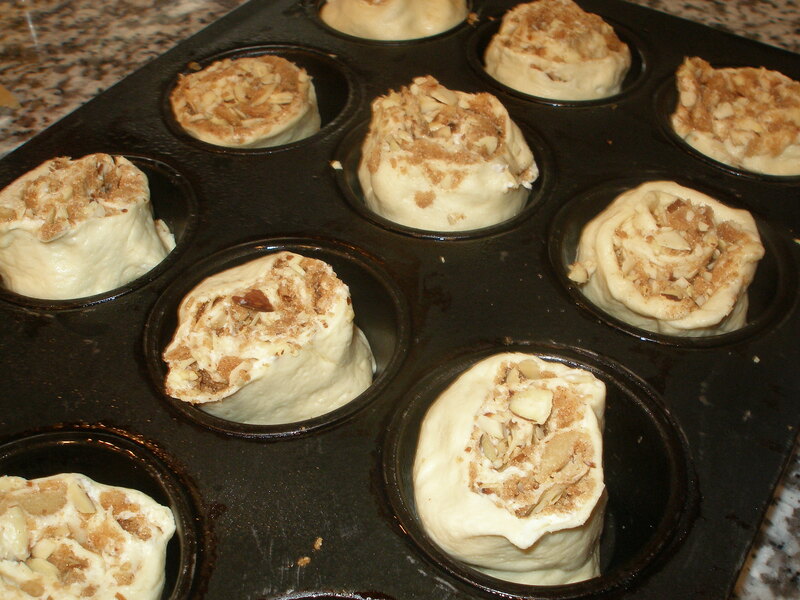 on the long side of the dough, roll into a roll and slice into 6 even pieces. repeat with the remaining crescent dough package. then, spray a 12 cup muffin tin with cooking spray, and place one bun in each muffin tin. bake until golden brown about 15 minutes. remove the pan from the oven and allow to cool for 20 minutes. in a small bowl, make the icing for the rolls. using 1 cup of powdered sugar, mix one tablespoon at a time of whole milk or half and half until a nice icing comes together. this may take a couple of tablespoons of milk to allow the sugar to flow from the spoon. drizzle with icing and serve warm. these rolls can be reheated with the microwave for 20 seconds at a time. delicious!